To the kids, their Dad is a true hero. 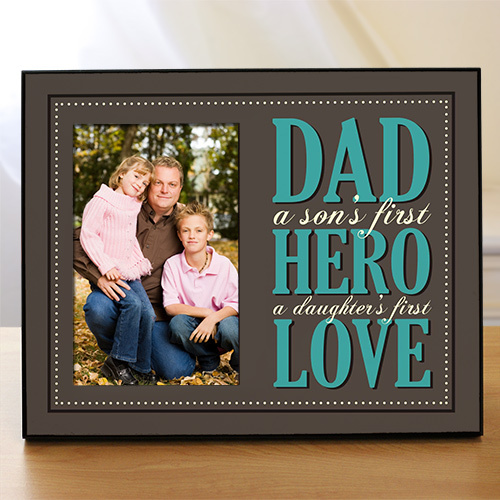 There's no better way to remind him of this than to give him this printed Father's Day frame that lets him know how much your youngsters love him. Personalize this Picture Frame with any photo of your choice. Makes a sweet gift for kids to show they care about that special guy they call Dad. Additional Details Shop more photo gifts for Dad to celebrate Father's Day in style this year!